What Does It Mean If Bowel Sounds Are Absent? Bowel sounds are sounds made by moving food, fluid and gases in the intestines. 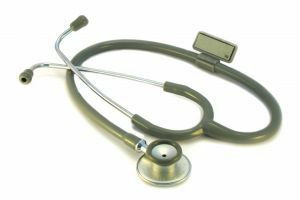 They can sometimes be loud enough to be heard across the room, but are usually quiet enough to be heard only with a stethoscope. Bowel sounds are completely normal because they are the byproduct of food passing through the digestive system. The absence of bowel sounds is actually abnormal and is usually a sign that the intestines are inactive or underactive -- a condition that needs to be seen by a doctor, because it could be a medical emergency. If the intestines are not passing food through and waste material begins to build up in the body, it can cause harm. Why Might Bowel Sounds Stop? After abdominal surgery, bowel sounds commonly slow down or stop for a certain amount of time. How long that might happen is different from person to person. After surgery, patients are usually told not to eat until bowel sounds resume and they can pass gas (which is another sign of normal bowel function). Anesthesia. Even when not having surgery on any part of the digestive tract, bowel sounds might decrease for a time because of the general anesthetic that is used. Bowel blockage. A blockage is when something stops waste material from moving through the intestines. This can happen, for instance, when scar tissue builds up in the intestine from inflammatory bowel disease (IBD), especially with Crohn's disease. It could also happen if there's a foreign body, such as when a person swallows a non-food item. Ischemic bowel disease. This is a group of conditions that occur when the blood supply gets blocked to the intestine. Without adequate blood, the bowel may start to experience problems and there could be injury and cell death. Pain medications. Certain pain medications, especially those that contain narcotics, tend to slow down the digestive process. Sometimes this can lead to constipation, especially in people who take narcotics for chronic pain. Radiation enteritis. The intestines are sensitive to radiation. Cancers in the abdomen might be treated with radiation therapy, and this might have the effect of slowing down the bowel. Toxic megacolon. This is a condition that's associated with ulcerative colitis that causes pain and a lack of bowel sounds. It is an emergency and needs to be treated immediately. What Will A Doctor Do If There Are No Bowel Sounds? In the case of a person who has Crohn's disease or another condition that affects the gastrointestinal tract, a physician might already have a big clue as to what is causing the lack of bowel sounds. Some of the test that might be used to pin down the exact cause are blood tests (such as a white blood cell count) and a CT scan of the abdomen. In some cases, an endoscopy might be needed. An endoscopy is a procedure that is used to look inside the digestive tract, such as a colonoscopy or an upper endoscopy. The results of these tests will provide more information about what might be causing a problem in the digestive tract, and why there might be an absence of bowel sounds. If you notice your body isn't making any noises during digestion, you may need to see a doctor. However, this isn't usually the only sign that there is a problem. There could also be vomiting, diarrhea, blood in the stool, constipation, bloating, and severe abdominal pain. If you are experiencing one or more of these along with the lack of bowel sounds, it is very important to see a doctor. People with IBD should be seeing a physician on a regular basis, but there can be emergency situations when it might be necessary to call a doctor or even to head to an emergency department. Severe pain in the abdomen could mean a blockage, especially in people with Crohn's disease. For people with ulcerative colitis, toxic megacolon is another possible reason for pain and a lack of bowel sounds. These problems are not common, but having anything unusual checked out right away is a good idea for people who have IBD.